AMERICAN DIABETES ASSOCIATION and without my husband’s service in the US Army. Kate had the perfect boyfriend – until he dumped her. It couldn’t have come at a worse time: ever since she found out she has diabetes, she’s been trying to cope. She just wants to feel normal again. Aidan planned on being a lifer in the Army and went to Afghanistan straight out of high school. Now he’s the guy with one arm and nothing is the same as it was before. He wishes he could forget. When Kate and Aidan meet, things couldn’t be more awkward. But neither wants to get attached, and they both could use some fun. but what if they need each other more than they realize? “Sweet, hopeful, uplifting. A beautifully written story about the heartache and healing of two people falling unexpectedly in love.” – Christa Desir, author of Faultline and Bleed Like Me. “Kate and Aidan learn life really is what you make of it. This is my favorite kind of love story.” – Nyrae Dawn, author of What a Boy Wants, Charade, and Rush. “This story of love is rare and precious. Highly emotional and very addicting, The Summer I Found You excels all my expectations. 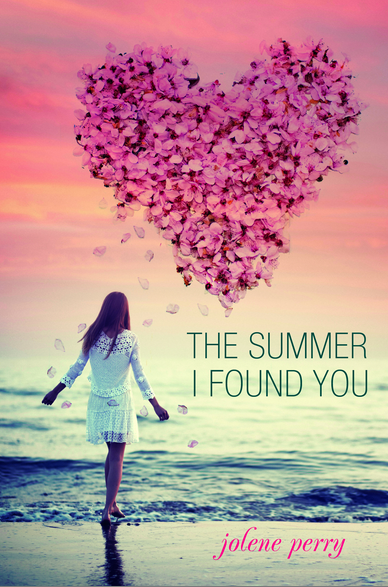 A satisfying story that has the capacity to captures anyone’s heart, The Summer I Found You is stunning.” – Savannah from Books With Bite. Because I love “meeting” scenes, and I also love Kate’s blurts of honesty and I ALSO love to read snippets of books before I buy them. “Oh,” she says as we pull up. “Aidan-is-a-bit-moody-and-lost-an-arm-in-Afghanistan.” And then she jumps out of the car. What? How can she have a cousin living with her for weeks and I know nothing of this part of it? “Shh.” Her eyes widen as I come around the front of her car. Her gangly brother walks up with the guy who must be Aidan. He has the family blond, and gorgeous light blue eyes. But he also has broad shoulders shown off by the snugness of his T-shirt. One of his shoulders leads to an arm. The other one does not. I know I’m staring, because it’s definitely something I should NOT be staring at. But my brain’s having a hard time wrapping around it. It feels like someone’s erased what should be there. “So, what does the other guy look like?” I grin at Aidan, and then realize I don’t know this guy, and it was possibly one of the dumbest things to ever leave my mouth. “The guy next to me, or the one who left the bomb?” His face is flat, but his eyes don’t move from mine. Silence like a thick blanket threatens to suffocate me. JO!!! This book really spoke to me and id love to hear back! I too, will be a senior in high school and have type 1 diabetes! Randomly and miraculously, The Summer I Found You was sitting out just for me to find 🙂 you did an amazing!!!!! I loved every second of it! The only sad thing is i had it finished in a day! Cant wait to hear back! I’m so thrilled to hear from you!!!!!! I send these books out into “the wild” and I’m never really sure what people think. I can’t thank you enough for taking the time to write. Seriously. MADE MY WHOLE WEEK! I adored this book! I read it early this summer and have not stopped thinking about it! It only took me one day to finish and I was so sad when it was over. You’re a phenomenal writer! I’m a freshman in college hoping to one day be a writer, and if I do I hope I can harness half the talent that you possess. Thank you so much for writing this story, it’s such a fresh take on teenage love stories. I have no doubt that I will remember this book for years to come. You just totally MADE MY DAY!!!!! You just MADE MY DAY!!!!!!! I almost didn’t finish this one, and if it weren’t for my husbands time in the military, I wouldn’t have. Thank you so much for taking the time to find me. For realz. Is there a movie to this book?! My daugther LOVED that book and we were wondering if there was a movie? That beautiful blur is @girlinred and she’s amazing.